Pictures coming out from Guangdong. 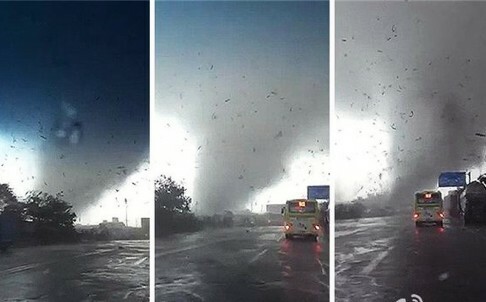 Extremely rare tornadoes cause massive damage. Very impressed with the preparation for this storm. Imagine a typhoon that was forecast to only make landfall only as a Cat 1 but explosively intensifies to a Cat 4? If this had hit the U.S, that's billion of dollars in loss but this only +24 million and a very low death toll. Its the biggest news story no one is talking about. Well it's ok. We can handle it without the hype. Western Pacific Weather reported a 131 kt windspeed (probably a gust, although it does not specify) was recorded in China as Typhoon Mujigae made landfall. How about JMA? only 70 knots 10 min when converted to 1 min is equal to only a Cat 1 hurricane/typhoon. Very poor decision with a rapidly intensifying typhoon with a well defined eye. 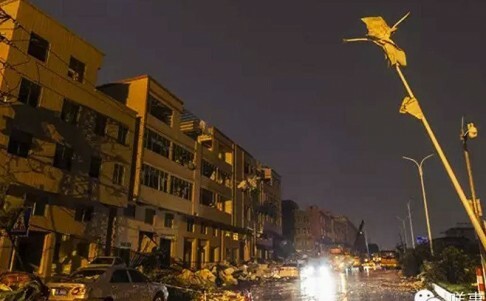 22 confirmed dead...20 of those in China who was preparing for just a Cat 1 turns out to be a Cat 4. Mujigae is now the costliest tropical cyclone of 2015 thus far. Economic cost in China now estimated at $4.2 billion. 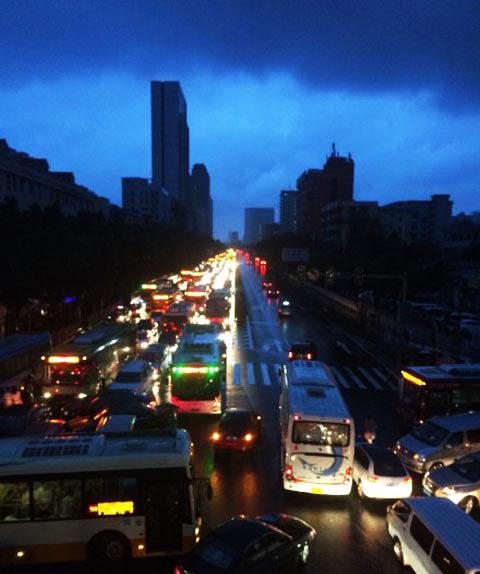 It's the strongest storm to strike the province of Guangdong in the month of October on record. Found this terrifying video from Zhanjiang. Imagine preparing for just a minimal typhoon that suddenly rapidly intensifies to a Cat 4 without notice. Lowest pressure reading from Zhanjiang was 946.7 mb (converted to SLP). JMA adjusted Mujigae's intensity to 85kt/950mb in their best track. NotoSans wrote: Lowest pressure reading from Zhanjiang was 946.7 mb (converted to SLP). This number actually agrees very well with JTWC's 115 kt when run through KZC.